Take charge of every game with precise wireless control, refined sticks and responsive triggers. Discover innovative features and enjoy complete comfort with an intelligent design, textured grips and built-in rechargeable battery. 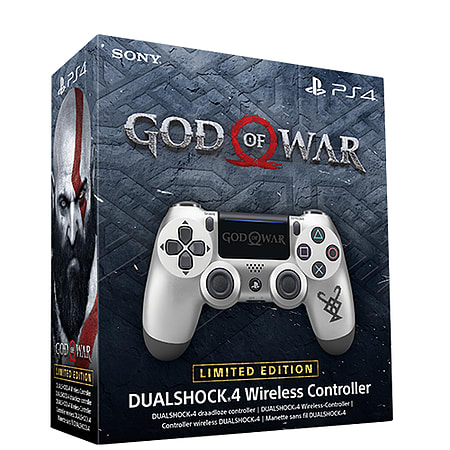 Face the beasts of the brutal Norse wilds with the Limited Edition God of War DUALSHOCK 4 wireless controller. Featuring a metallic silver and dark grey design, the controller is adorned with the iconic Huldra Bros. symbol – which is inscribed on Kratos’s Leviathan Axe. 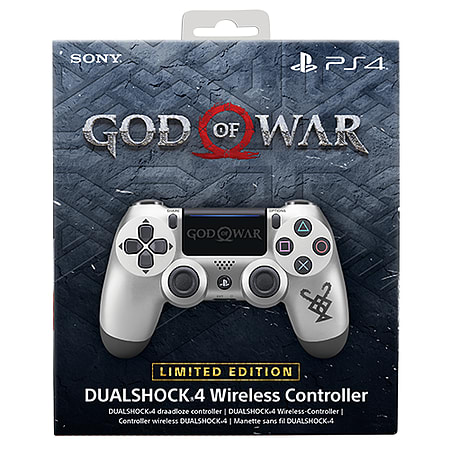 The perfect companion for the Limited Edition God of War PS4 Pro console, the controller’s touch pad is also customised with the game’s logo. God of War game sold separately. There’s a DUALSHOCK 4 wireless controller for every style of player. NOTE: Actual product may differ slightly from product imagery. Design and specifications are subject to change without notice. Ergonomic Design - Get to grips with an elegant, super comfortable design, while highly responsive sticks and buttons mean greater precision during gameplay. Customised Control - Prepare your controller just the way you like it – set the speaker volume, disable vibrations and adjust the light bar brightness. You can also choose to control gameplay wirelessly via Bluetooth or by using a USB cable connected to your PS4. Built-in Speaker and Stereo Headset Jack - Enjoy extra sound effects – straight from the controller – and chat with online friends via a headset, such as the stereo headset included with the PS4 system. Touch Pad - Guide, gesture and draw with the responsive touch pad – now restyled so you can see your light bar colour from above as you play. SHARE Button - Use the SHARE button to upload your gameplay videos and pictures on social networks. Stream live gameplay to Twitch, YouTube and Dailymotion or edit your recorded gameplay videos and share them on Facebook and Twitter. You can also invite online friends to play your games with you, even if they don’t own them with Share Play. Light Bar - The integrated light bar can emit various colours to show you more of the game, such as your character’s health for more intuitive play. It also helps the PlayStation Camera track your controller position – allowing you to interact with your virtual surroundings while using PlayStation VR. Remote Play - Stream your PS4 games to a Windows PC or Mac so you can keep on playing even when you’re away from the TV. 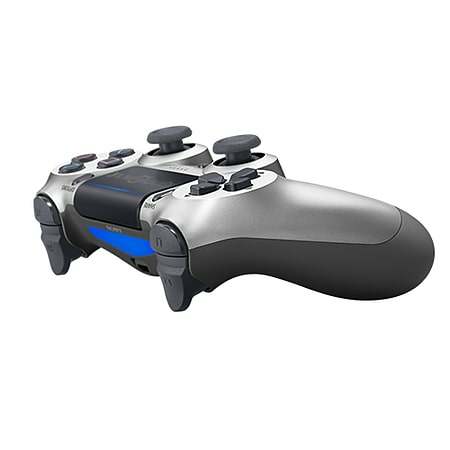 The DUALSHOCK 4 USB wireless adaptor (sold separately) makes Remote Play and other compatible applications on your computer even better, allowing you to play wirelessly.